You can enjoy the beautiful countryside surrounding the area. We are able to offer our resident golfers access to numerous golf courses in the local area and there is a golf course less then a mile away. We can provide you with a special pass to other golf courses which are normally only open to members. There are beautiful sandy beaches less than two miles away. Portreath the nearest is set in a beautiful cove and is ideal for children, there are plenty of rock pools for the young, and not so young, to investigate. Portreath even has its own small swimming pool made in the rocks. For the safety of everyone the beach is patrolled by lifeguards throughout the summer. If you enjoy fresh country air then you can spend some time walking in Tehidy Woods, which is only a stones throw away. 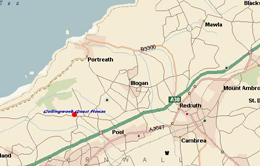 If you have more energy than the average person you can venture further a field to the North Cornwall coastal paths. For the Surfers among you Newquay is only 25 minutes drive, this town boast the famous Fistral Beach where many a surfing competition takes place in the summer months. 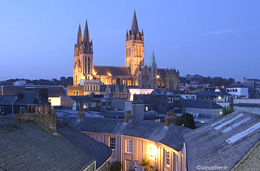 If you prefer city life then Truro, the main market town of the area, is only 20 minutes away. Truro boasts all the major retail shops, together with a market every week. You can also visit the Hall For Cornwall in Truro which stages Plays and Concerts. 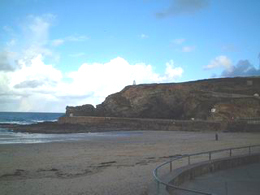 St Ives is only 20 minutes drive. Famous for its art community this Cornish coastal town attracts many visitors during the holiday season. Telephone: ++44 (0)1209 714696 .